Roll the window up or down in seconds with no tools. Don't want it on at all? It comes off entirely just as fast. Keep your Ranger warm with the Firestorm Compact Heater by MotoAlliance. 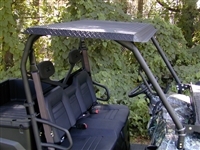 Up to 14,600 BTU, custom fit just for your mid size Polaris Ranger! Comes complete with all mounting hardware and requires no drilling etc. Installation is very simple and it takes little time to install. Once installed it will not leak, rattle, squeak etc. 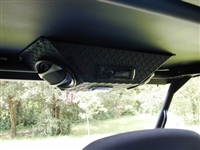 This windshield is made of rugged 1/4 inch scratch resistant acrylite glass. It won’t rattle or bow. The frame is constructed of sturdy aluminum diamond plate panel using all stainless steel hardware and self locking nuts. 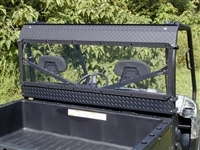 Store everything in sight and securely with this front rack.